This marine-dwelling fish lives in all of Australia’s warm temperate and tropical open waters and is wild-caught, mainly off the southeastern and southwestern coasts by longlines, with smaller amounts taken off Queensland by pole-and-line and handlines. Bigeye tuna are caught by pole and line and purse seine fisheries in the western and central Pacific Ocean, and in Australia's Eastern Tuna and Billfish Fishery. Tagging studies help scientists account for fluctuations in fishery catch records in order to better estimate fish stocks. Spikes in catches can be due to shifts in fish diving behaviour and their availability to fishing gear, rather than rises or falls in overall numbers. For example, when bigeye dive deeper on the full moon their habitat range overlaps with night-time sets of fishing gear resulting in higher catches. Predominantly longline caught; Bigeye Tuna listed as‘vulnerable’ by IUCN; no longer considered overfished off the east coast of Australia, but there is considerable concern over localized depletions in the Coral and Tasman Seas as well as concern over the on-going high levels of fishing that could lead to overfished stocks if catch levels are not reduced; not overfished off Australia’s west coast; bycatch of sharks and turtles of significant concern; as a high level predator there are potential negative ecosystem effects of depleted Tuna populations; also imported from New Zealand and South Pacific. Atlantic bigeye tuna abundance has stabilized near sustainable levels. While NOAA Fisheries Service considers the bigeye stock to be no longer overfished and overfishing not occurring, Atlantic bigeye tuna remain a species of concern internationally given underreporting of landings. High levels of international cooperation are needed for appropriate management and conservation. 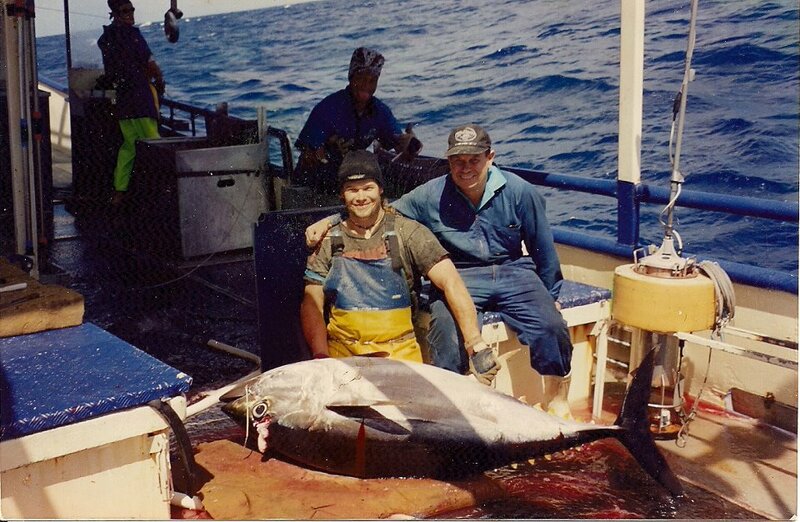 Atlantic bigeye tuna is managed both domestically (by NOAA Fisheries Service Highly Migratory Species Management Division) and internationally (by the International Commission for the Conservation of Atlantic Tunas and other organizations). Almost all of the U.S. commercial harvest of bigeye tuna comes from the Pacific. A small amount of this is exported, but the remainder makes up around half of the bigeye tuna we eat. The United States also imports bigeye tuna from around the world, mainly from Asia, South America, and Central America. Bigeye tuna are caught by pelagic longline, baitboat, and purse seine in international fisheries, and primarily by longline and rod & reel in the U.S. fishery. Habitat damage by fishing gear used to capture highly migratory species, other than bottom longlines, is minor because it rarely comes in contact with the ocean floor.